Here are some photographs of Fun from their show at the Hammersmith Apollo last week in London. 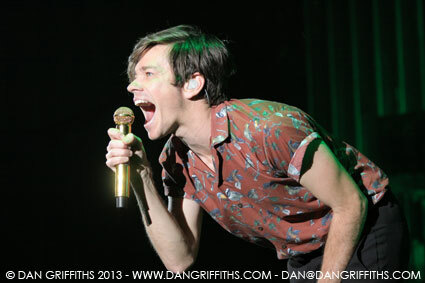 The band were on good form and frontman Nate Ruess was a ball of energy! Fun are best known for their three hit singles: Grammy Award-winning ‘We Are Young’ (featuring Janelle Monáe), ‘Some Nights’, and ‘Carry On’. ‘We Are Young’ reached number one on the U.S. Billboard Hot 100 and Digital Songs charts. It also peaked at number one in the United Kingdom. ‘Some Nights’ was released as the album’s second single in June 2012, peaking at number three on the Hot 100 chart and becoming Fun’s second Top 10 single, as well as the band’s second song to reach platinum status in the United States.